Sometimes, just sometimes, what happens in Las Vegas shouldn’t stay in Las Vegas. That was clearly the case this morning when TIBCO CTO Matt Quinn took the stage to talk about the myths and realities of Big Data. In Why Big Data Won’t Make You Smart Rich or Pretty, Quinn provided his perspective on Big Data based on years of experience in some of the biggest data environments around like FedEx and Nielsen and others. Quinn pointed out that most customers are not struggling with ‘big’ data but are instead still struggling with data. In Quinn’s view, it is the complex interactions between customer data sets that cause the majority of the issues. 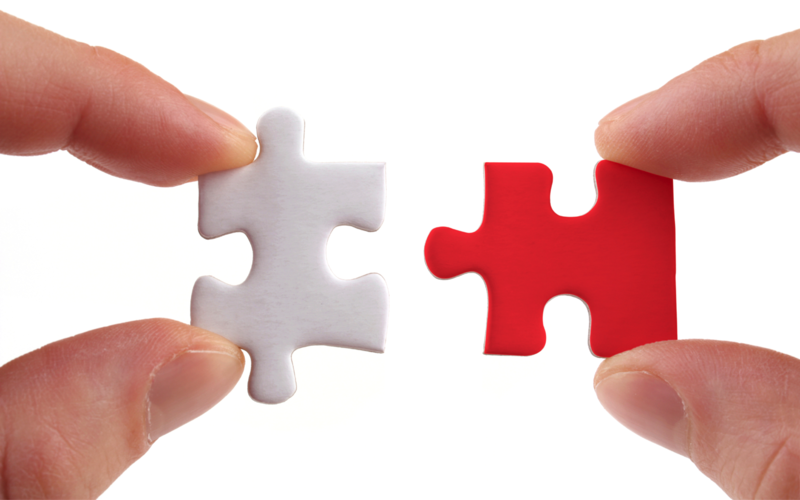 Success depends more on piecing together different data sets across wildly different applications and systems with variety of data being the key. In Quinn’s opinion, solving this data ‘jigsaw puzzle’ is often overlooked and tools like Hadoop, while clearly in focus, is just one tool in the toolbelt and can be a clumsy tool when dealing with real-life complexity. The resulting analysis is still being stored in an operational data store as of today, but that’s mostly due to the various web framework support available more than anything else. This will change as new frameworks gain support, leading to an increase in use of the new architecture. Early iterations of Big Data projects were driven as science experiments, often managed by consultants long on theories but short on practical experience. This drove vendor overload and left the marketplace without many specific success stories for a particular industry or a particular problem. For some, it became and excuse for IT to ‘play around’ with data. Unfortunately, getting a handle on the real challenge means taking a step backward to think about the data itself more than its size. It’s hard to take that step backward for most organizations as it involves decisions, investments and personalities. Quinn raised data security and organizational change as two of the biggest obstacles and opportunities. Societies and our various cultures are being affected by the privacy and other questions that Big Data raises, leading to data sovereignty and protection legislation entering the discussion. Getting specific, Quinn talked about PCI data and the need to anonymize or keep ‘chinese walls’ between business units that could abuse the public’s or customer’s trust with too much access. These are very real issues that others beyond Quinn are starting to raise. What does it matter if you can’t act on it? 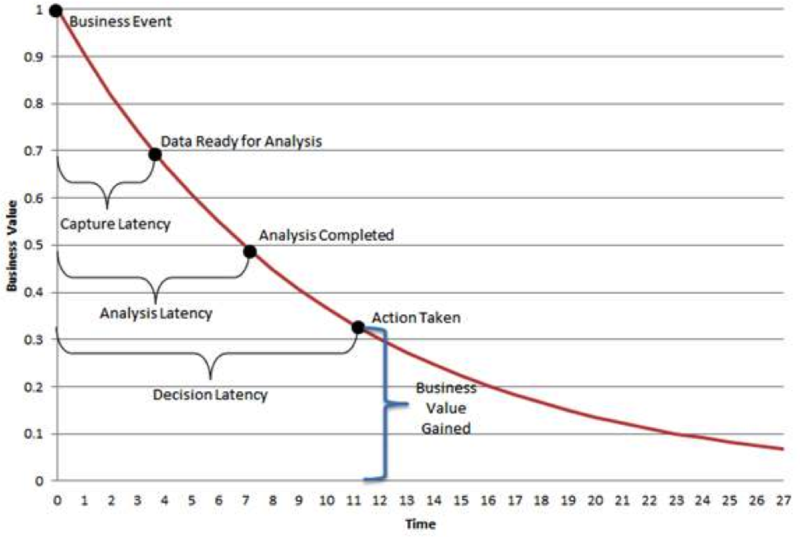 Toward the end, Quinn put up a graph that highlights the business value of data as it decays over time as a way to point out that insights are most valuable when the capture, analysis and decision latency can be kept to a minimum. His customers that are getting the highest value from data aren’t necessarily looking for needles in haystacks, but instead are engaged in shortening the cycles that cause data to lose value. This point stresses the aspect of big data that is most often overlooked… that finding, understanding and deciding how to act on data may very well mean more than amassing more data and taking longer to get to the place where the organization can move. From a debunking of the hype point of view, Matt Quinn’s talk was a great start to a day focused on myths and realities of Big Data. I’ll be following up this piece with more on the InterOp Big Data Workshop happening today in Las Vegas.